The Department of Defense has released heartbreaking information surrounding Utah’s Ogden Mayor Brent Taylor, who was killed serving in Afghanistan. 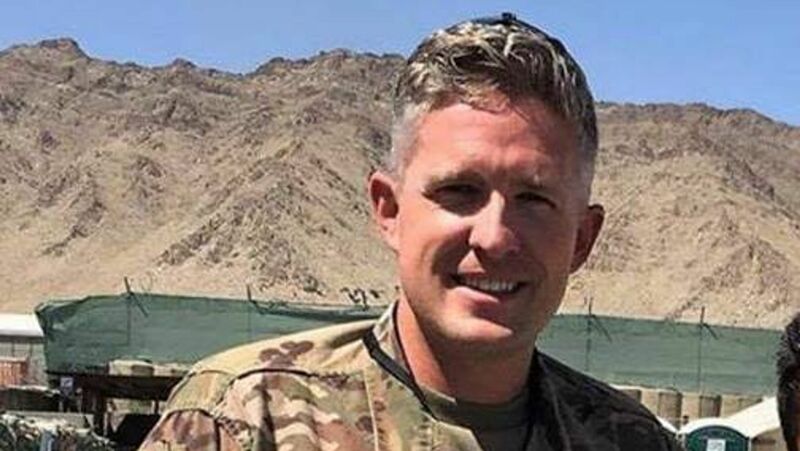 The Utah mayor was killed in Afghanistan amidst an "insider attack," while serving with the Utah National Guard near Kabul. The Department of Defense said one service member was killed, and a second seriously injured in Saturday's attack. The assault, committed by a member of the Afghan National Defense and Security Forces, is the second tragic attack like this in a month. Initial reports indicated other Afghan Forces killed the attacker, the Pentagon said. Utah Lieutenant Governor Spencer Cox identified the dead service member as 39-year-old Brent Taylor, who leaves behind a loving wife and seven children. “Devastating news. North Ogden Mayor Brent Taylor was killed today while serving in Afghanistan,” Lt. Governor Spencer J. Cox said. The endless “War on Terror,” and the raging violence of Afghanistan and Iraq have left numerous American troops in harm's way across the region, with next to no end in sight. President Trump has consistently stated that America would do whatever necessary to win the war, albeit as of this time there is no victorious conclusion in sight. President George W. Bush began the wars, which continued for eight years under President Barack Hussein Obama, and eventually dropped into the lap of the 45th President of the United States of America. Americans are growing ever impatient of seemingly endless war, and hope to see a laser-focused President Trump end them once and for all. We continue to pray for the safety and security of America's bravest, and hope they can return to their families as soon as possible. In the meantime, a Go Fund Me has been set up to assist the Mayor's devastated family. Too many tragic losses have already swept our nation to spill blood in foreign lands. All of this from wars based on false pretenses. Another White father killed so Israel can establish Greater Khazaria. What's a Jew's favorite hymm? Onward Christian Soldiers. Inside forces?? Inside of what? The Juden-press hails him as "a hero fighting for our freedoms" when in fact he's a dumbass. Anyone who joins the pos US military after the pentagon rigged The Trade Towers with explosives to get Israel's all-goyim US army into the Mid-East is a a goddamned fool not a hero.